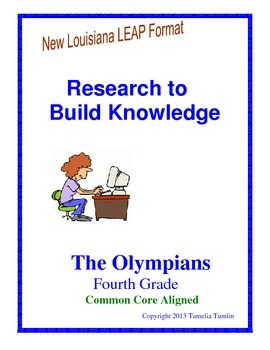 This resource packet is aligned with the new fourth grade Louisiana LEAP test. Questions are formatted to mirror the Research to Build Knowledge section of the LEAP and is aligned to the common core standards. The packet contains a set of resources, a set of 12 questions (multiple choice and constructive response) and an answer key. 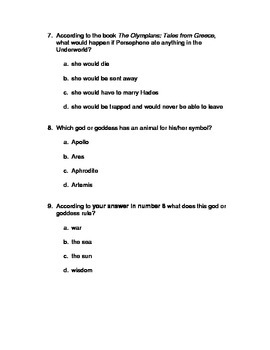 The topic-The Olympians- is a great addition to your Greek Myths unit. You may also be interested in the Louis Armstrong Research To Build Knowledge Pack!